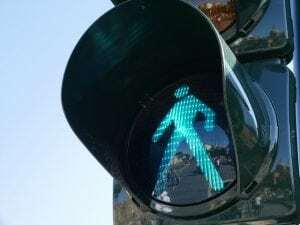 Staten Island, NY (April 9, 2019) – A pedestrian was struck and injured in a serious personal injury accident that was reported to have occurred on Sunday morning, April 7th. The incident happened around 5:00 a.m. at the intersection of Central Avenue and Hyatt Street, leaving the victim unconscious and injured, according to the NYPD. While the details concerning the incident are scarce at this time, police confirmed that the victim is a 56-year-old man from Port Richmond. The driver who struck the victim was reported to have fled the scene but was later apprehended on Monday, April 8th, and identified as 27-year-old Peter Noblecilla, of St. George. Emergency medical crews who arrived at the scene of the accident transported the victim to Richmond University Medical Center, where he remains in critical condition at this time. Noblecilla was arrested and charged for his role in the incident. Our most genuinely heartfelt sympathies are wholeheartedly extended to the victim of this accident, first and foremost. We currently maintain hope for his full recovery. Pedestrian accidents in New York are commonly injurious or fatal since there is little protection for the victim at the time of impact. At this time, it is imperative for the victim to realize that they may likely have significant rights regarding compensation for their injuries. Our New York accident attorneys at Hach & Rose have dedicated their lives to helping those who have been hurt due to the actions of negligent drivers and other irresponsible entities. We understand that there is almost nothing as challenging as dealing with a sudden injury and we are here for you 24/7 to answer any questions you may have. If you or a loved one have been hurt in a pedestrian accident due to another individual or entity, please do not hesitate to call 212-779-0057 today.